In a sign of the extent of the dispute between Saudi Arabia and the United Arab Emirates over Yemen, social networking sites have caught hundreds of comments among the political elites in Riyadh and Abu Dhabi. Twitter, for example, has become a real battlefield and mutual accusations. “I declare my popular recognition of the south state as a sovereign independent state,” said Dhahi Khalfan, former deputy head of Dubai police. 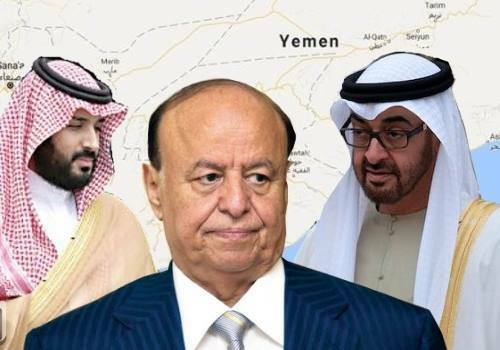 In response to the statements of the United Arab Emirates, the preacher of the Saudi prominent Awad al-Qarni considered what happened in Aden as rebellion, and commented on his account in Twitter, saying: “The support of the rebellion of Aden is a sinister projection of what he called the legitimacy of the Arab alliance , the storm of firmness and its aftermath . Hundreds of supporters of the so-called southern movement gathered in the southern Yemeni city of Aden on Thursday to protest against the decision of the ex-president Abed Rabbo Mansour Hadi, which was released Thursday (27 April 2017) and included that the governor of Aden appointed by UAE,and the Salafist leader Hani ibn Brik, the state minister of government should resigned and moved to the investigation, two allies of the UAE. Hundreds of supporters of the southern movement gathered in the southern Yemeni city of Aden on Thursday to protest against the decision of the runaway and ex- president Abed Rabbo Mansour Hadi and burned his pictures. Women with Combat Units of the Israeli Army .. Where do Men go and Why?